I was a little bummed out that I needed to go out an buy clingwrap to use the gloves. However once I was able to use them they worked very well. It helped my moisturizer soak in and my hands were so soft. I suffer from eczema on my hands and this really helped to restore some of the moisture. 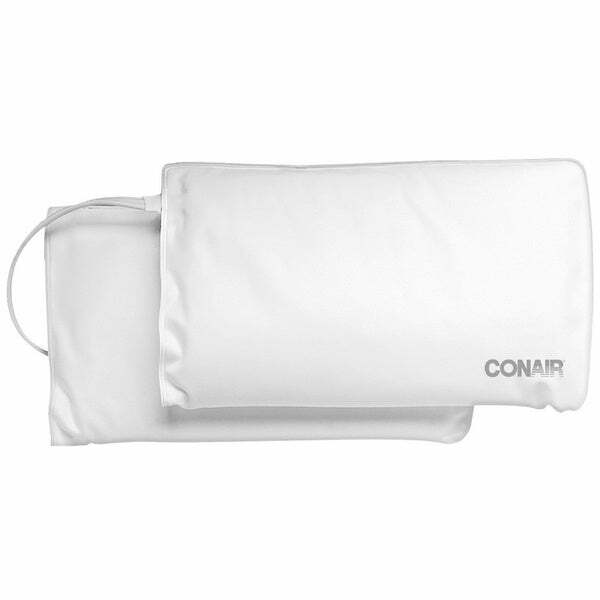 Indulge your hands in the true glow by Conair heated beauty hand mitts for a luxurious experience. Dry, stressed skin can feel instant relief when slipped into the soothing warmth these mitts offer. Let the heat open pores to promote moisturizing for softer healthier skin in just 3 easy steps. I had to return this item. When you read the directions it informs you that if you have certain medical issues, you should not use them. They should advertise this on the website so that you would be aware of this. But Overstock took the item back with no problem. I was sorry I couldn't use! "In the description it states that the quantity is 1. Does that mean there is 1 pair of mitts or that there is just 1 mitt?" Hello Tigermoth, this listing is for one pair of mitts. Thanks for shopping with us!